OPUS X is a collaborative fine art and design studio founded in 2006 that celebrates and supports creativity, diversity, ideas, discourse, collaboration, inquiry, and innovation. We encourage curiosity and creative explorations that integrate and enrich art, design and life. OPUS X founded OPUS Project Space in New York City in 2012 to support, empower, and celebrate contemporary emerging artists and designers who expand our world view, enhance our vision and improve our understanding. OPUS X NYC, an extension of OPUS Project Space, is a Lifestyle brand with the design-savvy urbanite in mind. OPUS X inaugurates its online design shop with its first collection of hand-printed heritage tee shirts. The OPUS X collectible tee shirt series celebrates designs that are part of our urban environment. 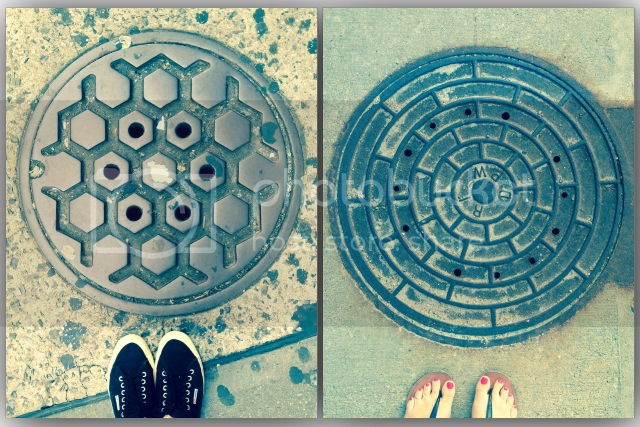 The collection features original pavement covers from around New York City. The expanding series will introduce new designs from capital cities throughout the world. Our tee shirts are soft, comfortable, and universally styled for fit. Collect OPUS X original tees and empower creative urban culture, while supporting, expanding and linking our community of artists, designers, and creatives.